Welcome back to our blog here at Care More Movers. If this is the first time you’ve visited us, we advise you to browse our website and learn about our moving services. As a veteran-owned company, we are proud to offer efficient and affordable services for homeowners and business owners in Williamsburg and the surrounding area. 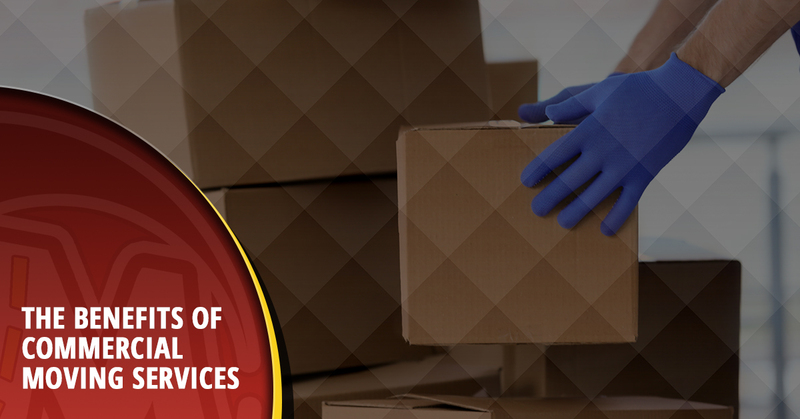 In this blog, we’re going to take a look at the top reasons to contact our moving company for commercial moving services. If you have any questions at all, don’t hesitate to give us a call today. There’s no doubt about it, efficiency is a huge part of running a business. Whether you run a large corporation or a small startup, you know exactly what it’s like to make every penny count and find new ways to help your employees get more work done in less time. So, what’s it all for if you’re just going to hire a moving company that won’t work in your best interest and helps you achieve that efficiency you’ve been working so hard for? What exactly goes into an efficient moving company, you may be asking? We’re glad you asked! First and foremost, an efficient moving company needs to be experienced. Each member of our moving team has at least two years of experience in the industry and has proven to consistently put clients’ interests first. Another way our company exceeds expectations when it comes to efficiency is the way our company is structured. We’ve specifically designed our company to offer a full range of services from packing and loading to unpacking and cleaning. What this means for your business is that you’ll never have to go out of your way to call multiple companies — we’ll handle everything. If you’re moving into a new office, you’re probably looking for any way you can to save money. Whether you’re leasing the new building or buying it, you probably have a tight budget during this time. We save you money by being transparent and open about all of our services and how much they cost. We’ll never try to upsell you on something that we know you don’t need. As a veteran-owned company, we understand the importance of serving the community, and we hope that our transparency and affordable pricing will help make your move an easier and more enjoyable experience. These are just a few of the reasons to contact Care More Movers, if you’d like to learn more about our moving company, stay tuned to our next blog where we’ll go over more benefits of commercial moving services. In the meantime, if you’re ready to get started with your next moving project, don’t hesitate to give us a call today. We’ll start by consulting with you to understand exactly what you need to be done and what your expectations are. If you have any questions, fill out our online contact form or give us a call.